What game series are you most thankful for? I think one series that certainly brings back a lot of memories and one that I had a great deal of fun with is the Blood Omen Series. 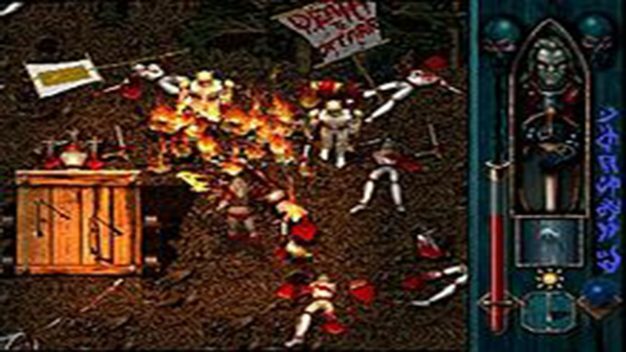 Although the Kain side of the story is by far my favourite with Blood Omen: The Legacy of Kain being my favourite game of the lot, I thought it interesting how two sets of games (Blood Omen and Soul Reaver) could stand alone and still weave together into a brilliant story. I have lots of great memories from playing these games but I remember playing Blood Omen 2 just before my last high school exam … and I passed … with an A. See? Gaming doesn’t kill brain cells after all! I would have to say I am most thankful for the Yakuza series. When the first few games didn’t take off here in North America, I thought that there would be no way that we would see more of them localized, which would have been a massive shame because that series is fantastic! 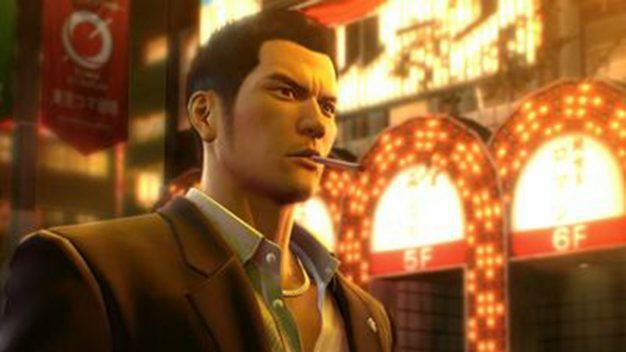 Luckily, over the last few years Yakuza has taken off in a big way in North America giving us both Yakuza 0 and Yakuza Kiwami in 2017 with more planned for later releases. For me it must be Kingdom Hearts. 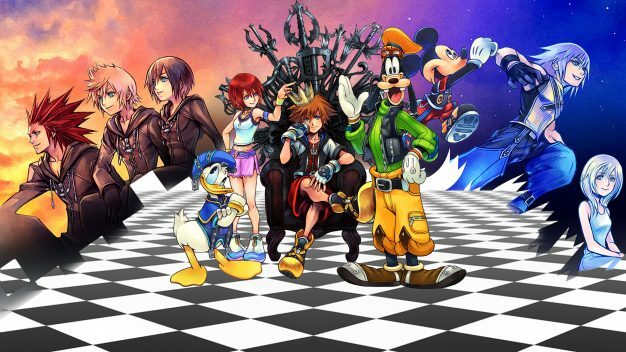 As a wee nerdy teenager I spent a lot of time on role-playing boards for Kingdom Hearts which is where, by complete coincidence, I met a young man who lived in a neighbouring country. Ten years later, we’re still going strong. Kingdom Hearts in its current state may not impress either of us very much, but I’m still so thankful for the series all the same. I’m most thankful for The Legend of Zelda series. I feel like every entry I’ve experienced has come out at different points in my life, and helped me get through those formative years. A Link to the Past was released in 1991, but I bought it a couple of years later when I finished grade school. I was in awe of the game’s two different worlds and wealth of items and collectibles, which contributed to the collectathon OCD I have today. I’m experiencing it now as an advisor while my partner plays through it on the SNES Classic. Ocarina of Time came out on the cusp of me graduating middle school and entering high school; while I was nervous about making new friends and obtaining my diploma, I found comfort in playing through Link’s latest adventure and trading tips and secrets with my cousin in person and over the phone. Most recently, I was gifted an unopened special edition of Breath of the Wild that is taunting me as I await enough funds to buy a Switch. I’ve felt a wide range of emotions due to The Legend of Zelda series, from excitement experiencing something new to joy teaching a new generation its many secrets, and for these reasons I am most thankful for this amazing game series. The series I am most thankful for is the Mario series. 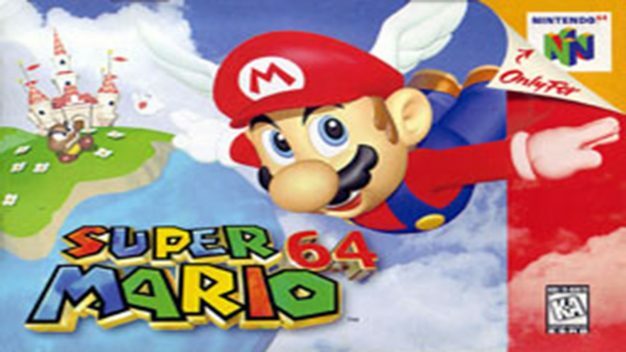 Mario 64 was my first ever game and I will always have a soft spot for that title for it leading me to becoming obsessed with video games like I have. I have also been lucky enough to enjoy every Mario game I have ever tried to play. I seriously cannot think of one Mario game I have ever played I did not enjoy and have a smile on my face while playing. Nintendo has mastered making Mario games these 30-something years later and I always look forward to the next installment. I am definitely most thankful for the Kingdom Hearts series as that’s what made me a gamer. It’s corny, but I’m most thankful for the Pokemon series because it’s something that my brother, sister, and I all had in common. We liked playing it, we traded with each other, we collected the cards together, we played Stadium together- we all went through a phase in college where we brought our Gameboy Pockets with us to campus and played between classes. 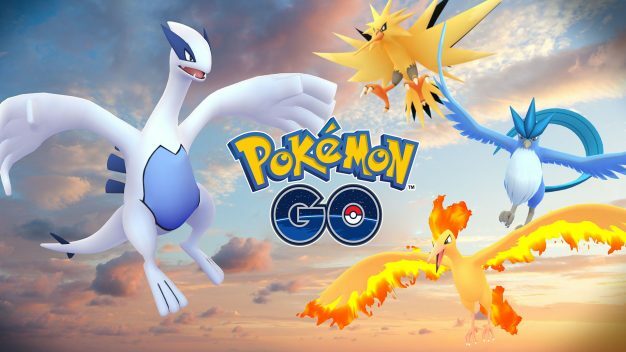 After Pokemon Go came out, we constantly sent each other screenshots of the Pokemon we caught. We have been, and will continue to be, competitive jerks to each other about everything we do, but we do it with love. And Pokemon. I am most thankful for The Witcher series. When I first starting thinking on this, I immediately wanted to go with the Legend of Zelda for obvious reasons. I grew up with the series through multiple console generations and countless entries. However, the experience of The Witcher on PC back in 2007 was an experience that not many had. My friends weren’t sold on it (look up those original graphics! ), but this game was all about the storytelling and characters. These elements are super important to me, which is why I hone to RPGs over other gaming genres. 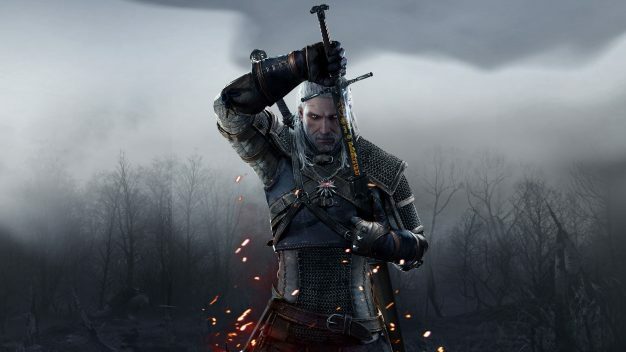 We’ve now watched Geralt grow through the series, and I’ve enjoyed following his story over the past decade. 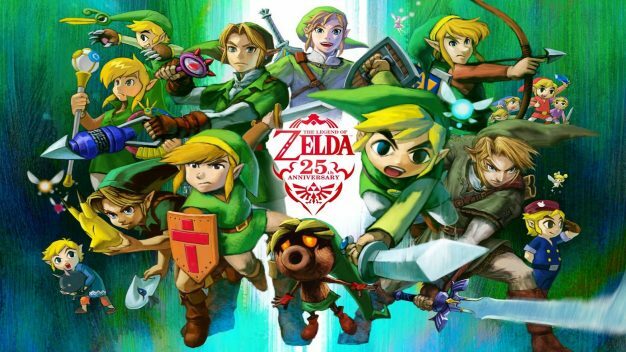 The story of Zelda is one that is rehashed and updated, which works for this series. But to see a story evolve along with technology and the growing talent of CD Projekt Red has been an incredibly rewarding experience. And for that, I am thankful. I am most thankful for the Devil May Cry series. 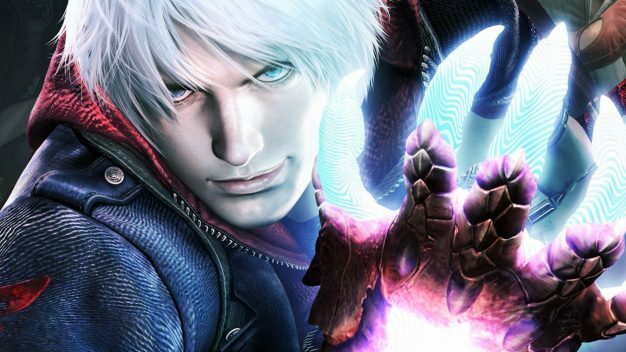 Hack and slash actions games are my favorite genre and DMC has been carrying that torch for most of my adult life. When the first game came out while I was in high school it was responsible for reigniting my passion for video games which had gone dormant during those years. 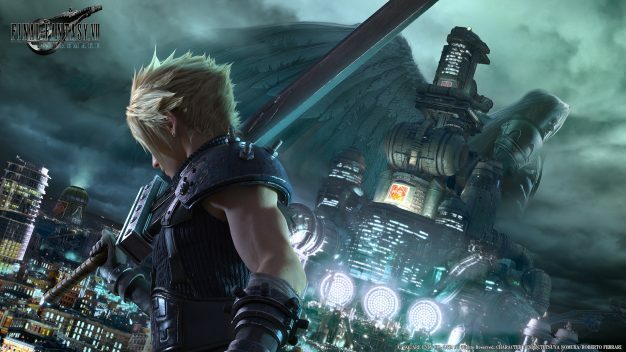 While the franchise has had ups and downs, the 2013 reboot is among my favorites of all time and a benchmark for what the hack and slash genre should be. The Final Fantasy series. Though I haven’t liked every installment, I am still an RPG fan at heart and that series is what started it all. Although there are definitely several different series that I am thankful for, I think I will have to go with two of the first PC games I ever played. 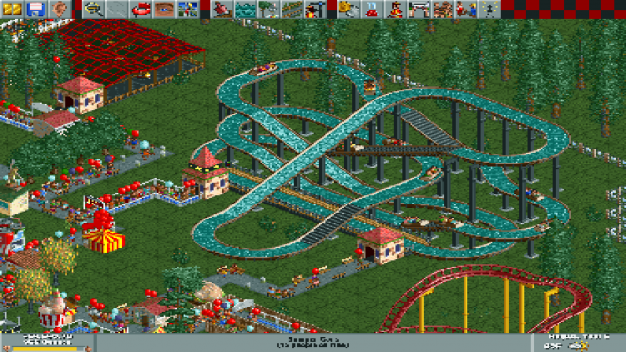 Rollercoaster Tycoon and Rollercoaster Tycoon II are probably the two most memorable games I have from my childhood. It’s odd seeing how such a simple construction-management game can influence nostalgia. However, anybody who is a fan of the series I think can understand why. The game offered so much for such a simple idea and gave you a sense of accomplishment. As a kid, it truly piqued my interest in video games at the time and, as a whole, created a foundation for my passion of video games. I can’t wait to get my hands on the Classic edition so I can relive those memories!